on a 1939 Ford chassis. 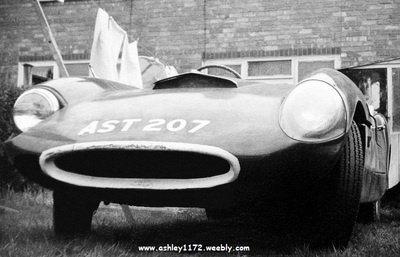 The photo's I have attached are four of AST207 which I owned in about 1959 before I joined the army. 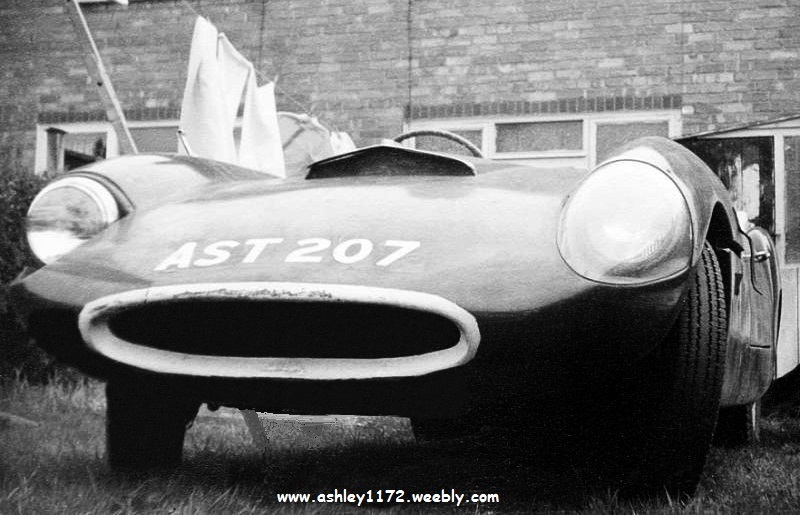 AST207 was built in or near Leicester on a 1939 Ford Tourer and when the builder was called up for National Service the car ended up at my uncles garage in Liecester. I bought it from him for £125 and had it for maybe two years till I joined the army at the beginning of 1962. 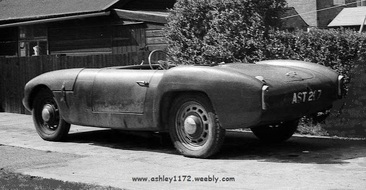 My father scrapped the car about a year later. 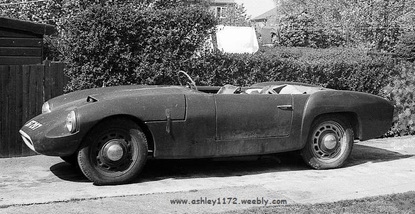 Before that I owned an Ashley 750 shell on an old Morris Minor from the 1930's but I never had that one on the road and have no details or photo's of it. 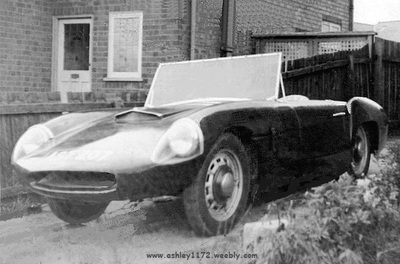 I have not found any Current DLVA Registration Information so must assume it is not registered, I guess Chris's Dad scrapped it good and it was never rescued, but if anyone remembers it send me an email and let me know so I can add it here. 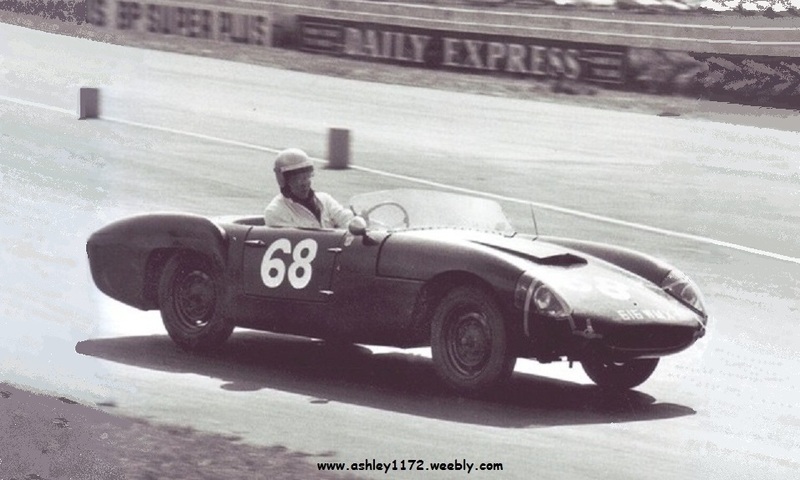 The car bodyshell was coloured British Racing Green and the original builder used a flat metal edged windscreen that to my eye's looks completely out of place, I guess Chris did too as he appears to have removed it when he had used the car. 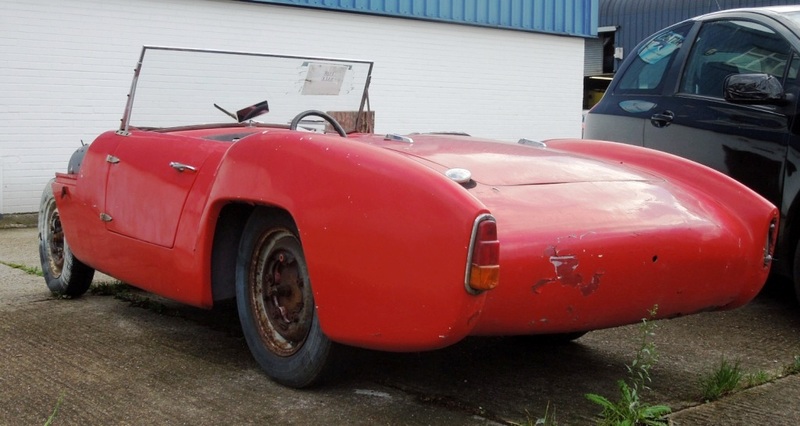 In December 2013 I was emailed some photo's of a Red 1961 Ashley 1172 with what looks like an identical flat windscreen. Was it the same screen reused or was it a windscreen from some earlier year production touring car that both Ashley builders had by chance used all those years earlier. A question that we will never know unless someone can name the type of screen ??? Let me know if you can, see below how too.